Last update anticipated that bulls were unwinding a fourth wave, and the micro count suggested a completed abc expanded flat. Well, that micro count was correct, however, the market decided that one abc wasn't enough -- so it tacked on another abc to a slightly lower price. 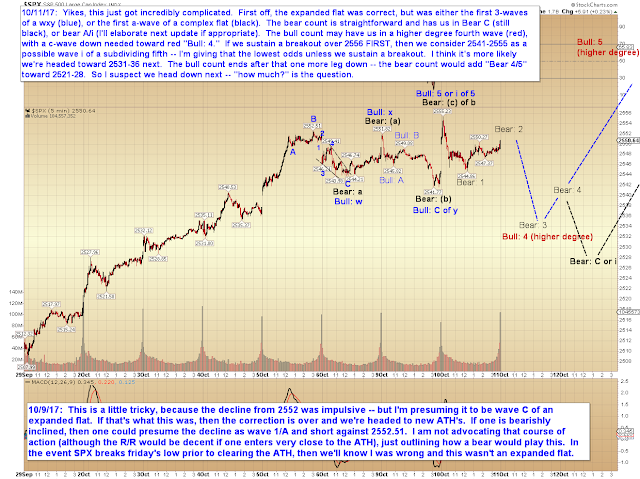 This means that either that correction can now be compartmentalized as a wxy (which breaks down as "abc-x-abc") and a fully completed wave structure -- OR -- the expanded flat is still unfolding as a more complex wave, and the low at 2441 was wave (b) of that more complex expanded flat. This has become a very challenging micro count for that reason, but the good news is that the first two leading contenders both have similar outcomes: They head a bit lower, then rally back up to new all-time-highs. 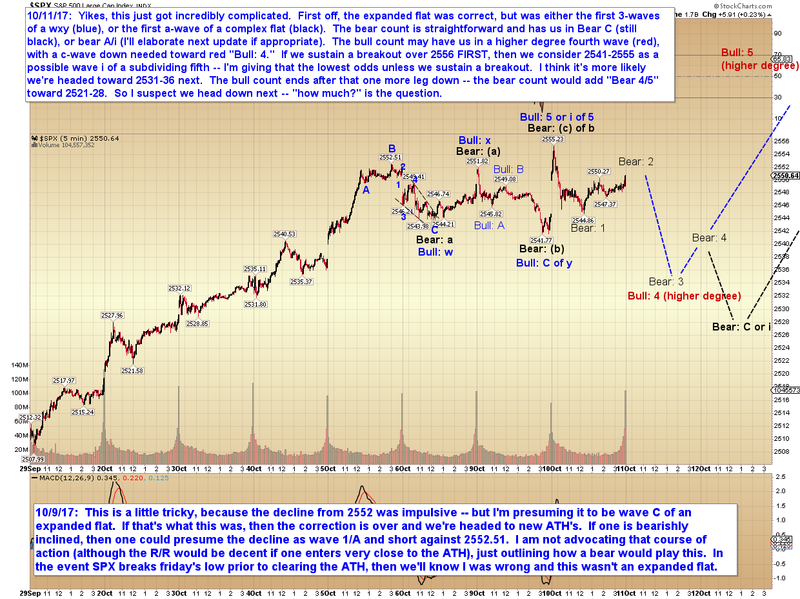 I've outlined the two "leading contender counts," which both head lower first, then head back up to new highs, on the chart below. Keep in mind that these counts are shown conservatively, and could head lower than shown. In conclusion, the decline from 2555 looks impulsive, so it's reasonably likely that we'll head lower over the upcoming sessions. From the looks of things at the moment, that won't be "the end of the rally," though, it will just be part of a more complex correction. 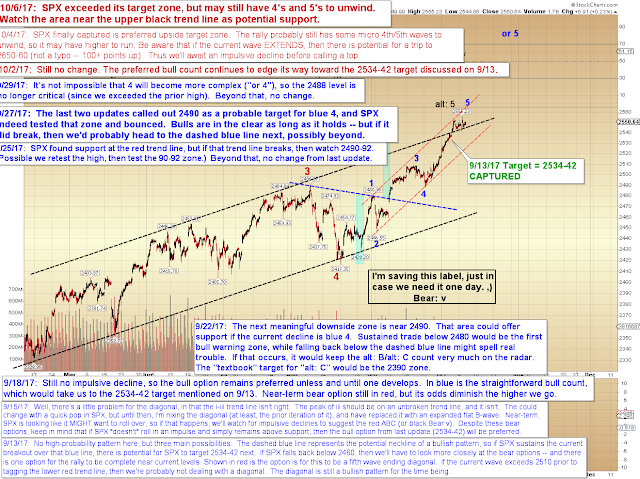 Since the two leading counts are both at least near-term bearish, I'll simply note what to do if that's wrong: In the event we were to immediately sustain a breakout over 2556, then we might be dealing with a subdividing fifth wave, and bears might do well to stand aside until that clarifies. Trade safe.